Firstly there are so many different choices when shopping for straighteners. Therefore if your new to this subject then you may need a bit of guidance of where to start . We can give you some information on what you should be searching for. Below are some options that will hopefully help you to choose where to look next. When it comes to it the first type of widths are long with a thin straightening plate. This is good for simply straightening your hair. Especially short hair but also can be great for curling your hair .By wrapping a small amount of hair around the straightener. Pulling at an angle, these give a very different results to curling irons. The second type is again long but these are a lot wider and better for longer hair as it can be difficult to thoroughly straighten with the thinner sets of straighteners. It can also be better for thick and coarser hair. as they are wider and able to straighten more hair at a time. which means they will be a lot quicker which is important when you have a lot of hair to straighten. A small straightener tends to be 1 inch. Under these are a standard size and are great for shorter hair and great for styling i.e. curling and waves. Any straightener that is larger than 1 inch tends to be classed as above average. These work better for longer hair as they can cover more area at one time. The small irons are still better for curling even when you have long hair. So depends what you use your straightener for more as an individual. There is not just different widths and shapes but also different material plates. which I will briefly explain below so you have a quick understanding of the benefits of the different plates. Basic flat irons are the most basic and common straighteners used. These have heat settings of low, medium and high. Basic flat irons plates are just made from a metal material. People who only occasionally straighten their hair would find these models useful but most people would opt for a newer model with higher heat settings. Ceramic flat irons are by far the most popular. They are cheap and use a low heat but still benefits from a fabulous straight and sleek finish. This material is great for locking in moisture, getting rid of any frizz and getting that smooth look were all looking for. They get reasonably hot and stay that way for as long as you need them too. The ceramic iron uses the ionic technology. This is good for making your hair healthy, despite the high temperatures used. This is by far the best all round type of straightener to choose especially if you have particular thick or curly hair. Remember when looking at ceramic straighteners make sure you don’t choose ceramic plated straighteners. These are lower quality and won’t keep their heat as well. Hot spots are not good! Tourmaline is very much loved in the beauty industry. It heats up quick and leaves a smooth and healthy finish. Not a crispy finish that some of the other materials can leave. Plates are coated in Tourmaline which is made out of ground down gemstones. The good thing about tourmaline irons is that they can also be used on a low heat. As they are so good at distributing the heat effectively and would still leave a sleek finish. Titanium irons are the newest material to come on the market. Although this metal plate is good for heat distribution and has the latest technology. It won’t suit everybody as its not very good for sensitive and fine hair. Although they are classed as one the safest option of plates. It will cause no burning to the hair with the high heat it contains. In the hair business professional straighteners are much higher quality, the electrical elements are better maintained which makes a big difference when your trying to keep your hair healthy as well as do a good straightening job. Unless you generally only use your straighteners occasionally the professional irons will be the better option. Even if they are more expensive they will do a better job and last you that bit longer. This is another option of the type of straightening plates available. The wet-to-dry design. Although we don’t think they are the most reliable of all as they aren’t entirely safe straightening it from sopping wet hair. They work really well on damp hair which is still a great tool to have to combine finishing of drying your hair whilst giving it a straightened look. So overall the general rule is the thicker and curlier your hair is the higher the temperature is needed on the straightener. So think about your hair type and look which you think you would need for your particular hair type. This means the thicker and curlier your hair is, the more advanced and expensive straighteners you will need. The better quality materials not only get the higher heat to straighten those tough curly locks but they also prevent the plates from damaging your hair. It will most defiantly last longer. Straighteners come in all shapes and sizes that are all made in different materials which can benefit hair in different ways. Straighteners work by a set of plates getting hot and touching together on either side of your hair. It puts heat through your hair follicles, traps in moisture and gets rid of that frizz. The material of the plates determines whether you will get constant heat, a shiny sleek finish, curls and waves or a straight style in one hit. In a matter of fact any other needs that you are looking for within a pair of straighteners. The speed of the straighteners is also dictated by the materials used and will help keep your hair healthy with no damage or split ends. All of these different areas rely on the type of plate your using. Don’t worry if your already confused, were go through everything material right here. It can be really difficult to decide which plate material to actually choose as they all seem to claim to be the best. Although I have already briefly explained each material above, below we are going to go further into detail how each material could benefit your hair to help you make that decision on material. Ceramic straighteners like Remington silk hair straighter are great at retaining their heat, they are the hottest straighteners yet of 235C and a turbo boost to 240C for them troublesome bits. As they reach such a high temperature it also means they avoid any hot spots like other straighteners. They may take longer to heat up but once hot really remain hot for as long as you need them. It has a clear digital display and easy to use memory function. Ceramic plates leave a silky finish and because the plates are so smooth it is less likely to pull your hair and cause any tangles or damage to your hair. They most certainly would fulfill the job of getting rid of any frizz at the right temperature for your hair. 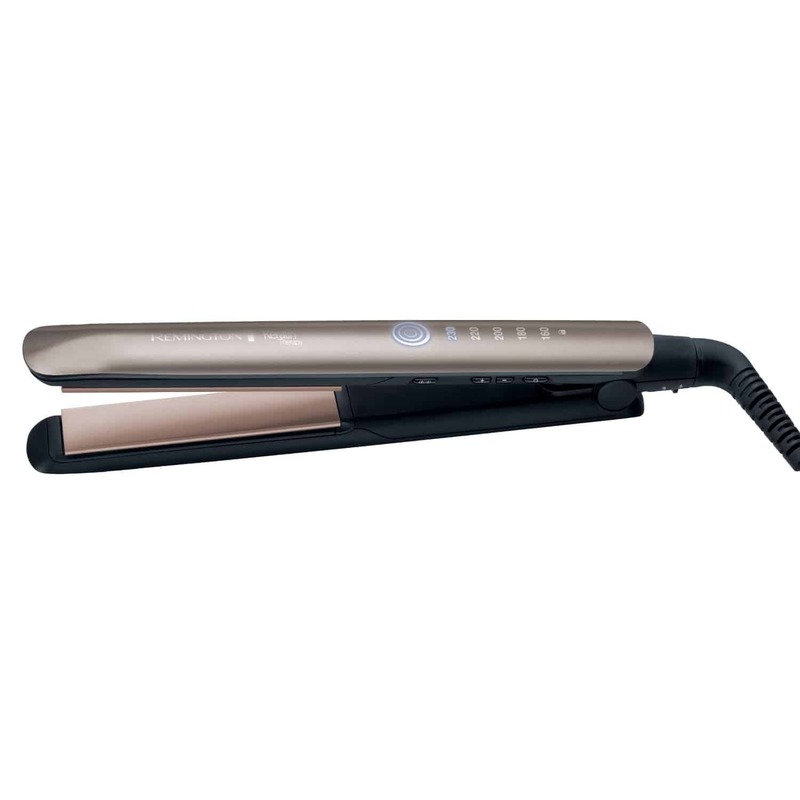 Toni & guy extra wide salon profess﻿﻿ional straightener﻿﻿s﻿﻿﻿ is a great example of a tourmaline straightener. Which has a shiny good quality plate to them, they have a ceramic plate covered in tourmaline which is one of the newer plate materials. A tourmaline plated straightener can be quite costly. They are made from grounded gemstones coated over the plates which gives an amazing finish. Although the smoother the plates the less likely they are to pull any hairs and cause any damage. Titanium straighteners are great for quick heat. Like the straighteners Babyliss Pro Ultra Wide Styler Hair Straightener Nano Titanium Ceramic Plates 38mm are the way to go. They heat up right away and they are great at keeping that heat for a long amount of time. If you don’t make regular trips to the hairdressers to have your hair trimmed, then these may be the straighteners for you. As they are less damaging for the ends of your hair because they cause less heat transfer and are pretty lightweight. Although this may be a more expensive options they are a more durable straightener. As titanium is generally a material that is going to last year’s so you won’t have to keep replacing them. Something that you may see on the box of a pair of straighteners and wondered what it means are the words “negative ions”. Which is basically the scientific way of explaining how straighteners tame frizzy hair. This material being in the straighteners can be the difference between a crazy, big, fluffy mane and an in control, sleek hair style. It is all about the static in the hair and if you have frizzy hair then you are likely to have a lot of static in your hair. This means there are positively charged ions buzzing through it which makes you hair big and poufy. By putting negative ion technology on the straighteners, the negatively charged ions neutralise the positively charged ones. This causes the hair follicles to calm down which gives the straight look you are looking for. 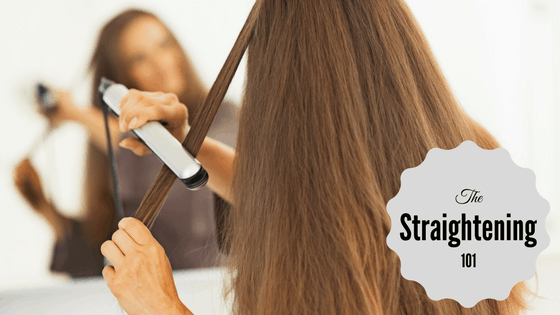 Overall it really does come down to how much cost your willing to spend on selecting your straighteners but it’s obviously still important you make sure you’re getting the best straightener for the cost. Ceramic plates have the best reputation as they have been around for over 20 years. Although there is now the new technology of wet-to-dry and titanium. These may just be worth a go depending on your hairs individual needs. What kind of straightener do I need for my hair type? It doesn’t matter whether you spend a lot of time franticly trying to tame your frizzy hair or if you just use your straighteners to put a curl or a wave into your hair on a night out. It is still important to know that there is still a straightener out there for each and every individual hair type. There is; fine with mostly straight hair, fine with mostly curly hair, thick with mostly straight hair, thick with mostly curly or coarse hair and damaged hair that needs more attention to the amount of heat your applying making sure you’re not causing any further damage. So look for the categories below to find your hair type. Have a good read on how to take care of your individual hair type but still get the particular style you are looking to create. If you’re likely to use your straighteners daily, it is so important that you choose the right type to keep them from damaging your hair and making sure they good quality. If you aren’t sure how to get your hair straight don’t worry, there is definitely the correct straightener out there for you. All you need to know is what type of hair you have. Is it curly, straight, frizzy, coarse, fine, wavy? You could even be a mixture of these, once you know which type. Then we can help you pick. If you have fine hair that is mostly straight but on the occasion gets frizzy then you won’t need a high temperature straightener. It would be best to look for a ceramic plate for a smooth finish to cause as less damage to your fine hair as possible and being able to choose that lower heat option is key. If you have fine but curly hair it is important that you choose an iron with a range of temperatures. As all curly hair has a different texture and different density to it. So you can go through the heat settings and fine which best suits your texture or hair. You are best looking at tourmaline or titanium to make sure the plates don’t pull your fine but curly hair as it will cause less damaged. If you have thick hair that is mostly straight. You would need a higher heat straight away even if you only have a light wave or kink. Thick hair general needs more heat to tame it and get the sleek straight look you are aiming for. Damaged hair will benefit from professional type flat irons. As they are designed to cause less damage to your hair. They also have more expensive materials like tourmaline to make sure the heat is distributed evenly. So it wont cause any hot spots or split ends to your hair. Tourmaline plates are also up to date with technology and have variable temperatures so you can choose the temperature that is best suiting how damaged your hair follicles are the lower the setting the better. Most people don’t realize how versatile straighteners are. The common misconception is that they literally only straighten your hair but how wrong are they. By choosing the correct flat iron for your individual hair type. You would be able to create many of different styles such as; waves, curls, crimped, body, twist and more. A lot of people make the assumption that by looking at a hair style on the models in the media or the celebrities with their perfect hair. They have defiantly used crimpers ,rollers or wands but this isn’t the case. There is no need to buy a million different styling irons as you can create many of those looks with your straighteners alone. We have come up with a handful of idea, these are only a few out the collection, of how to style with your straighteners so you can create the individual style you are looking for. Trending hairstyles are constantly changing and it can be hard to keep up with what’s the in thing! And what the best looking hairstyles are. So we have researched into the current celebrity trends of 2017. which hairstyles are being used down the red carpet to keep within the fashion. We will only give you a show of hairstyles that have been created with a pair of straightening irons. Not other styling irons so that you can create this hairstyle yourself. Celebrity style. Furthermore there are many other features that we have not yet gone into detail. With that may persuade you to choose a different straightener to the original one you have chosen or researched into. we would like you to take into considerations all the different factors that you need to take into account before purchasing your perfect pair of straighteners. Do I need to worry about using too much heat? Really the answer is … yes! You can absolutely use too much heat on your hair. Putting too much heat on your hair may lead to hair follicles being burnt. Which is not a good smell or look for your hair. Have a read through this to get an idea of what’s safe and what’s not. Whilst straightening or styling your hair with high temperatures this will guide you. It is important to make sure you don’t damage your hair. As the more damaged hair follicle’s become, the harder it is too produce the hair your trying to create as the follicles break split and fly away, instead of becoming tame and styled. Flat irons are all different prices which depends on the style of your straighteners, some can start as low as £20 yet some can go right up to over £300, on this site you will fine both professional and beginner hair straightening reviews. It can be difficult to decide how much you want to spend on them so here we have created the differences between the expensive straighteners and the cheap ones before you go and make your decision on which is best. Hair straighteners also come in many different sizes that can also make it a hard decision to decide which straightener is best and the right pair for you. By thinking about the style of iron you would like and learning what hair type you have . The amount of heat you need it can help you figure out what the best size iron for your hair is. It may seem like a lot of hassle just to choose a pair a straighteners. By doing this eliminating process it will help with precision and speed. Just about everything you need to know? Hopefully we have narrowed down the search for your perfect straightener. That suits your hair and meets all your needs. Just about everything and anything is right here and enough information for you to choose what it is you need.